Worst seat in the house? Photo courtesy Jeff Hoffer Heavy rains, mixed, combined with saturated ground, caused some minor flooding in north central Ohio, including in the Bellville area. This photo was taken Sunday. The National Weather Service is predicting dry weather today and Tuesday, but rain is in the forecast Wednesday, Thursday and Friday. BELLVILLE — Heavy rains, mixed, combined with saturated ground, caused some minor flooding in north central Ohio, including in the Bellville area. This photo was taken Sunday. The National Weather Service is predicting dry weather today and Tuesday, but rain is in the forecast Wednesday, Thursday and Friday. 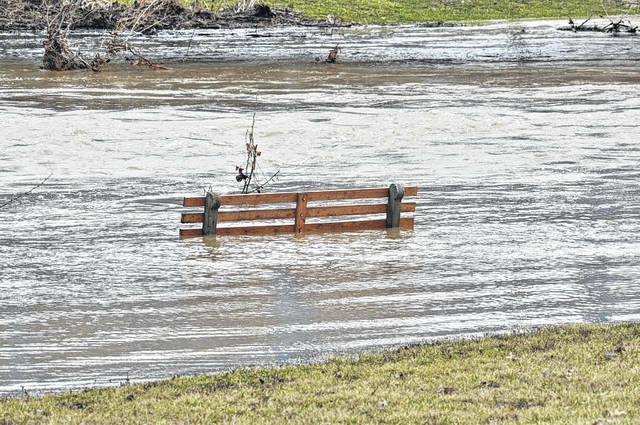 https://www.galioninquirer.com/wp-content/uploads/sites/38/2018/02/web1_DSC_0465.jpgPhoto courtesy Jeff Hoffer Heavy rains, mixed, combined with saturated ground, caused some minor flooding in north central Ohio, including in the Bellville area. This photo was taken Sunday. The National Weather Service is predicting dry weather today and Tuesday, but rain is in the forecast Wednesday, Thursday and Friday.